Today was a big day for Exchange updates. Not only did we get Cumulative Update 7 for Exchange 2016, but we also got Cumulative Update 18 for Exchange 2013. It’s time to update. Exchange 2007 went end of life as of April 11th, 2017. You will receive no further patches and will be unable to acquire telephone support. Published back in March 2017, Rollup 23 is the final update for Exchange 2007. 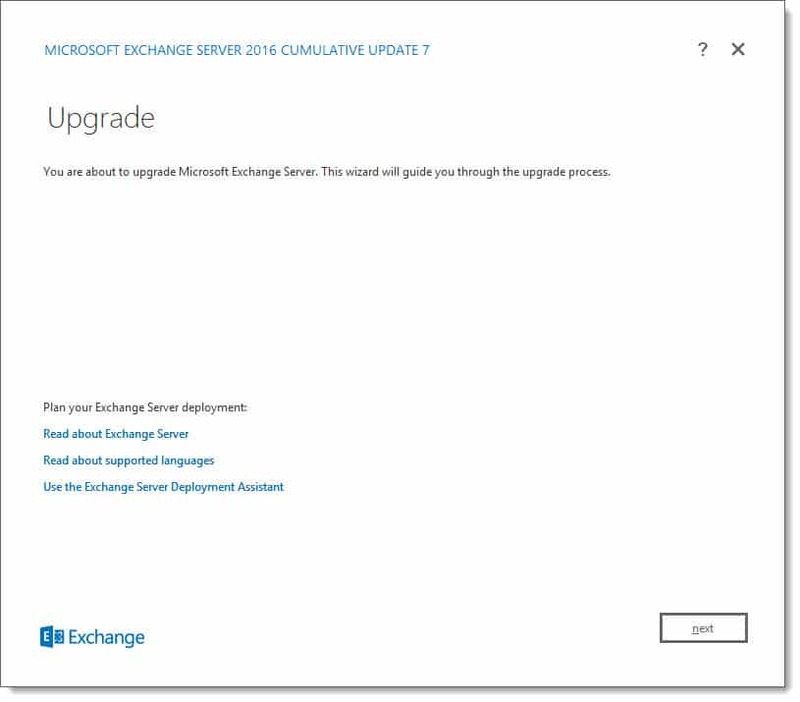 Exchange 2016 CU7 now requires a forest functional level of Server 2008 R2. This means that all domain controllers in the forest must be running Server 2008 R2 and higher. Previous updates only required a forest level of Server 2008. Exchange 2013 CU18 can still be installed in a forest functional level of Server 2003. Microsoft will soon release .NET Framework 4.7.1. The Exchange product group have no reported issues with 4.7 or 4.7.1. However, they recommend all customers remain at 4.6.2 until further testing can be completed. For details on how to roll back from 4.7 check this article. If ever in doubt on which .NET release works with which CU check the Exchange 2016 system requirements article. The Exchange Team plans to support .NET 4.7.1 in Exchange 2016 CU8 & Exchange 2016 CU19 (December 2017 updates). There are also plans to make .NET 4.7.1 a mandatory requirement for Exchange 2016 CU10 and Exchange 2013 CU21 (which will release in June 2018). These updates also contain bug fixes, feature tweaks and, daylight savings changes. Check the appropriate KB article above for a list of issues each update remediates. A couple of issues were discovered right before this release cycle. These issues will not be resolved in this release and will be addressed in a future cumulative update. The first is around the Online Archive. If you have an on-prem mailbox that leverages an online archive through Office 365, these mailboxes will not be accessible in Outlook on the Web. The online archive mailbox will still be available in the full Outlook desktop client. Translation of hyperlink text into a user’s local language in information protected emails may appear incorrectly. Exchange 2016 Cumulative Update 7 does include schema updates. The setup itself will check and perform the schema extension if necessary. However, you can apply these beforehand by running SETUP /PrepareSchema from the command line. This is necessary when the Exchange administrator may not have the permissions required to perform the schema update. To extend the schema you must be both a Schema Admin and an Enterprise Admin. Exchange 2013 Cumulative Update 18 does not include any schema updates. If upgrading from Cumulative Update 7-17 then there are no schema changes. However, if migrating from CU6 or earlier update you will need to perform a schema update. You will also want to run SETUP /PrepareAD to get the latest RBAC definitions for both Exchange 2013 and 2016. Note that the graphical setup also performs this update. For more information on how to extend and verify the schema check our guide here. For a quick reference on schema and build versions check here. Microsoft requires that anyone in a hybrid environment be on the latest or prior cumulative update. Customers in hybrid deployments where Exchange is deployed on-premises and in the cloud, or who are using Exchange Online Archiving (EOA) with their on-premises Exchange deployment are required to deploy the most current or the prior Cumulative Update release. Earlier this month the Exchange Team announced that Office 365 now supports public folder hierarchies of up to 250,000 legacy public folders. Previously Exchange Online was limited to 100,000 public folders. In addition, Microsoft has announced that you can migrate up to 250,000 legacy public folders to Exchange Online. However, modern public folders (Exchange 2013 & 2016) can still only migrate up to 100,000 folders at this time. More information on this topic can be found here. 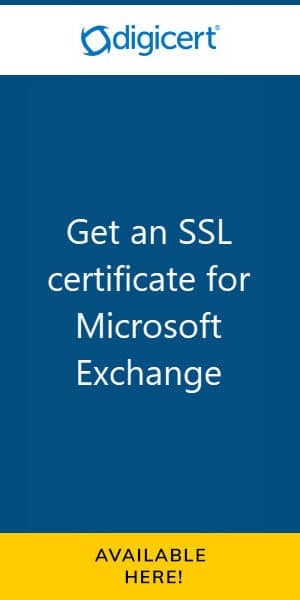 The Exchange team announced back in July that it will no longer support the use of Session Border Controllers (SBCs) to connect to Exchange Online Unified Messaging. This blog post from the Exchange Team identifies who is affected by this change, deadlines and, four potential migration options. With the May 2017 release of Azure AD Connect, you can now synchronize the email addresses of on-prem mail-enabled public folders to Azure. This allows emails to be successfully routed to on-prem mail-enabled public folders. Prior to this update senders would receive an NDR stating that the address was rejected. The Exchange Team is also adding support for SharePoint 2016 as a source for cloud attachments. At present cloud attachments allow you to upload an attachment to OneDrive, OneDrive for Business or SharePoint Online and then send out a stub that mimics a traditional attachment to the recipient. To the recipient, the attachment still looks the same. However, the document icon is superimposed with the picture of a cloud and when opened the attachment is opened from the upload source. This keeps the size of the email small. Microsoft is currently testing extending this functionality to on-premises SharePoint 2016. First reported in Exchange 2016 CU5, an architectural change to the database has caused some 3rd-party brick level backups to not work as intended. Here is Microsoft’s official statement. So what do you think is coming next? What would you like to see? Drop a comment below or join the conversation on Twitter @SuperTekBoy.